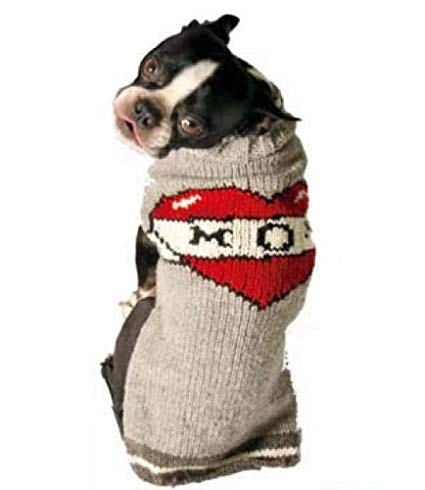 Staying warm and wag-tastically fashionable is always in season wit Dog & Cat Sweater. This sweater is hand-knit with the love and expertise of artisan knitters from the highlands of South America, to fit your dog or cat perfectly and keep him warm and snuggable. Because it’s made of 100% natural, renewable and non-allergenic organic wool, it helps insulate your precious pet from chilly weather while still being ultra-breathable, comfortable, and allergy-free. Thanks to its eco-friendly design that uses only plant-sourced, natural dyes and wool Fair Trade sourced from small Andean farms, there is nothing artificial between you and your cudd-together with friends, or just a stroll around the block.